It can be truly a blessing to have naturally straight hair. Straight hair is easier to manage, and you can pull off just about any hairstyle. 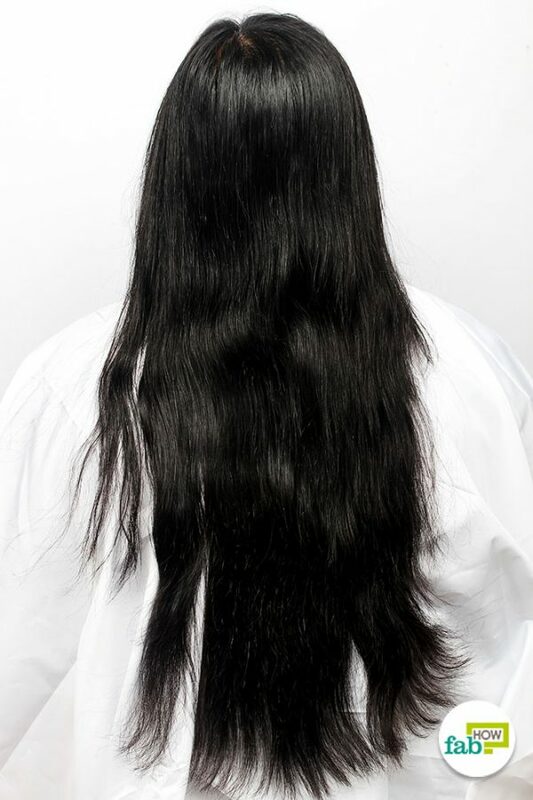 If you are among those who constantly need to tame their manes with hair products, don’t be disheartened. 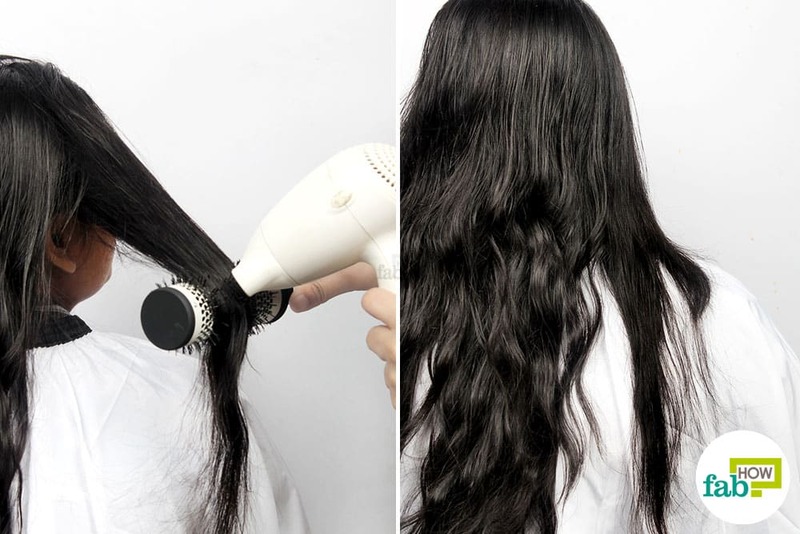 You can straighten and tame your frizzy locks at home with simple ingredients and equipment that won’t break the bank, unlike those expensive salon and spa visits. Now, from here, there are two roads to tread on. You can either gift yourself a straightener or blow-dryer and use heat to get things done quickly or go all-natural by using basic ingredients you probably already have in your home. Say goodbye to those bad hair days by learning these simple ways to straighten your hair – with or without heat. Before exposing your hair to any heat styling equipment, use a thermal heat protectant spray on your hair. 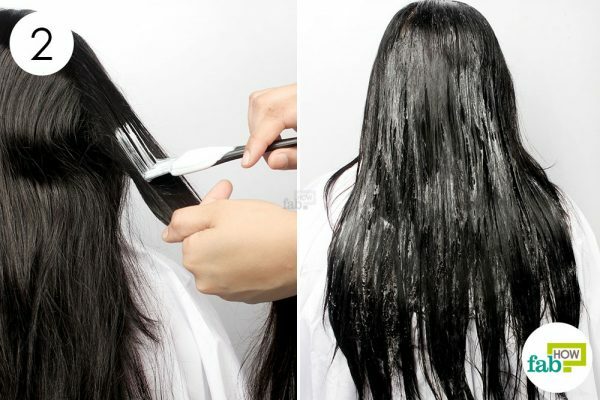 Apply and leave it on before using heat to straighten your hair. 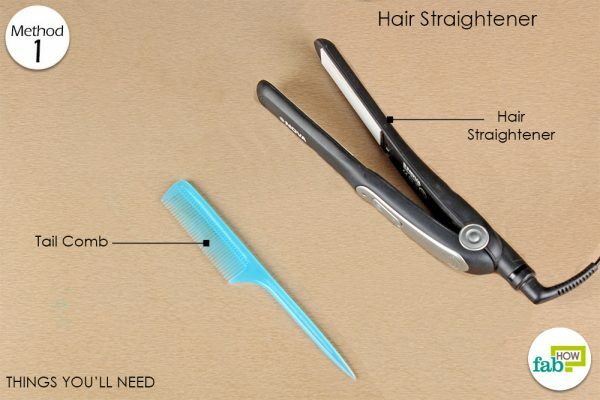 Using a hair straightener or iron is the quickest way to achieve straight hair. Coating your hair with thermal heat protectant spray before straightening helps condition your hair and protect it from any damage due to the heat. If possible, use a straightener that has temperature control to avoid overheating your delicate locks. Keep the setting at about 300-350 degrees. Plug in your straightener and let it heat up. Taking one section at the time, apply thermal heat protectant spray on the hair. Make sure you cover every part of the hair, especially the ends. Take a small section of your hair (around 1 to 2 inches wide) and clamp it in the straightener. 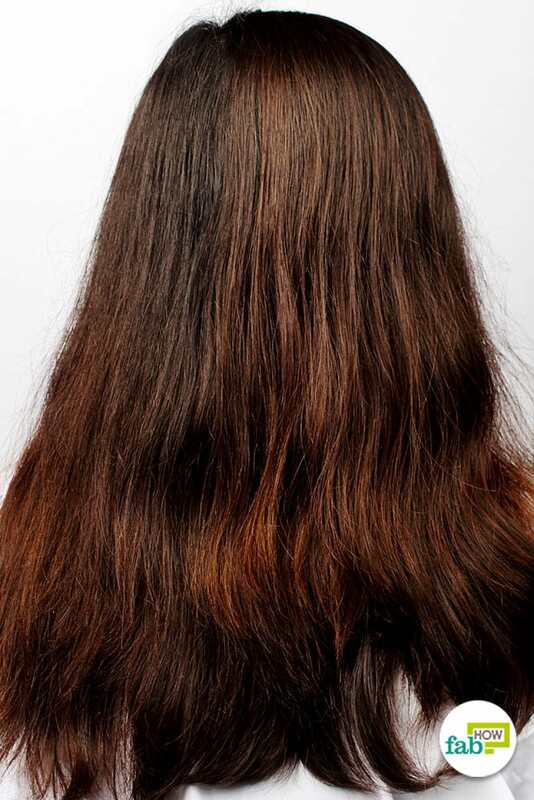 Do not iron the hair close to the scalp, as it can damage the roots or burn your scalp. Run the straightener down the length of your hair, maintaining moderate pressure throughout. If your hair is too frizzy or curly, make short, multiple strokes near the top and then drag it down the length of your hair. Don’t panic if you see steam coming from your hair. It’s from the thermal heat protectant spray. 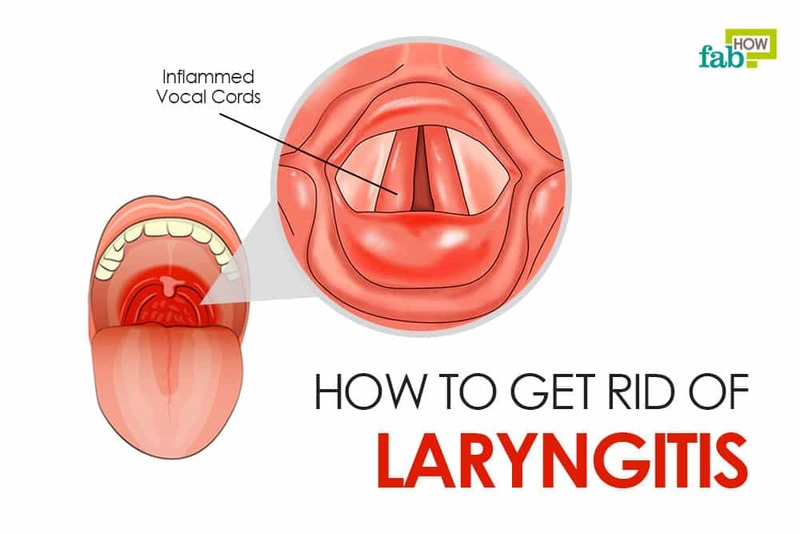 Repeat the process on all sections. 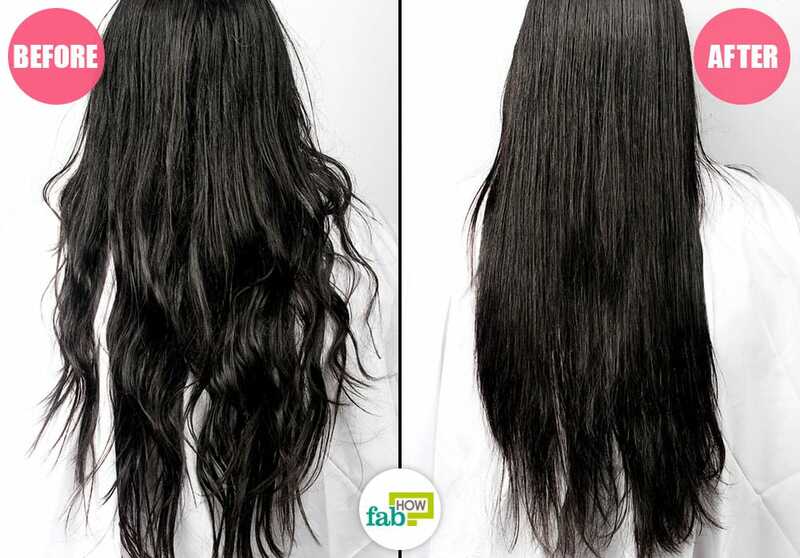 All you need is a blow-dryer, a round brush and 30 minutes at hand. Before beginning, brush your hair so that it’s tangle-free. 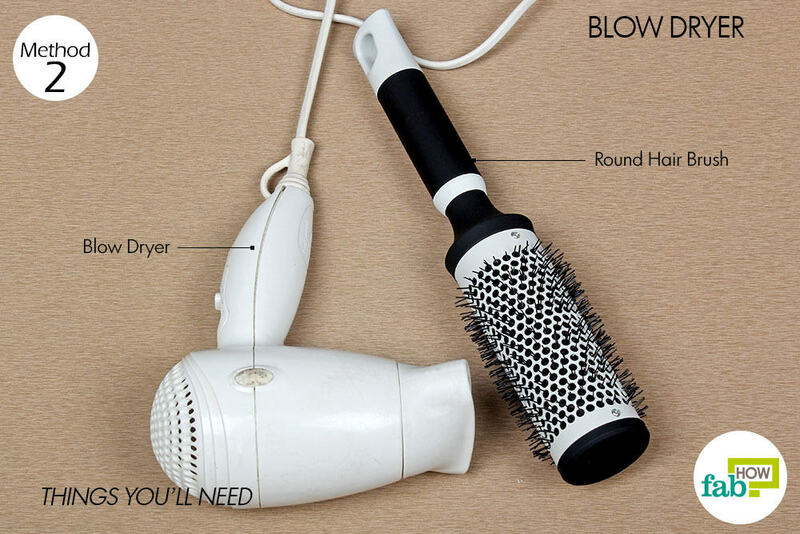 You can also dampen your hair before blow-drying for better results. If you are blow-drying your hair after a wash, let your hair still be damp and apply thermal heat protectant spray to it. Take a small section of hair and place the round brush under it near the scalp, moving towards the mid sections and lastly towards the ends. The ends are the quickest to dry. Starting from the scalp, gently pull the brush through the length of your hair while blow-drying it. Use the dryer nozzle to help focus and prevent frizz. Repeat the process for the other sections until you have straightened all of your hair. 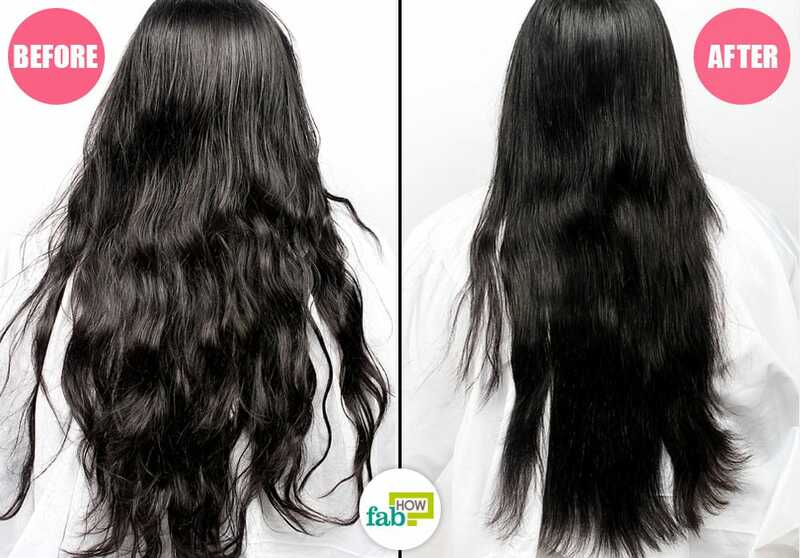 If you do not wish to expose your hair to heat too often, try the two methods below to straighten your hair without using any heat styling appliances. Coconut milk and lemon juice act as an acidifier to keep the cuticle layer of the hair down and even out porosity of hair. 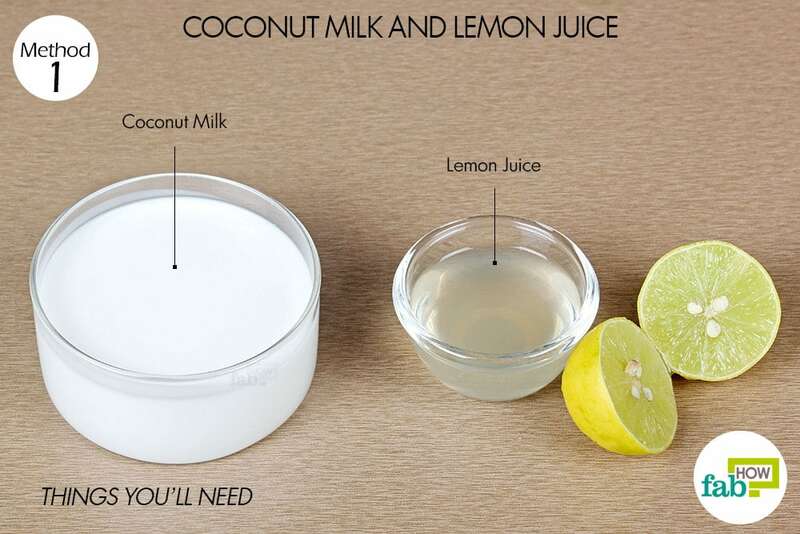 Coconut milk also serves as an excellent moisturizer and imparts a natural sheen to your hair. 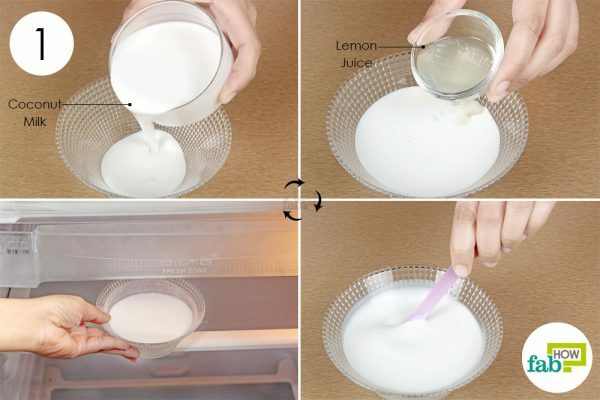 Put the mixture in the refrigerator overnight to get a curd-like consistency. Shampoo and condition your hair as regular before using this mask. The next morning, use a hair color brush to apply the mask on your hair, working on small sections one at a time. Apply the mask on the scalp too, massaging it gently. Cover your hair with a shower cap and leave it on for 10 minutes. You can also wrap a warm, wet towel around your hair. Rinse it after 10 minutes when it feels to be drying out. 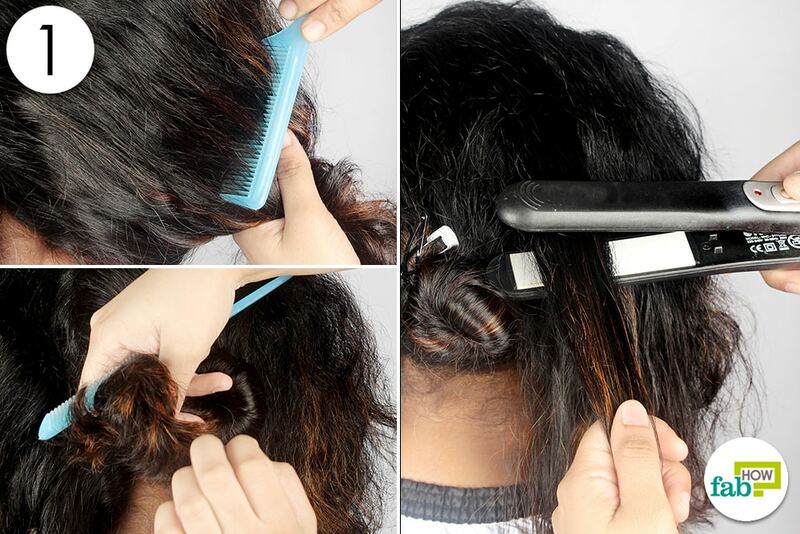 Comb your hair while it is still wet and allow it to air-dry. 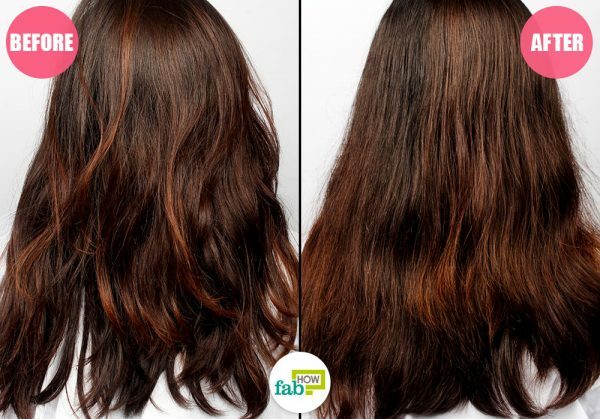 Repeat 2 or 3 times a week until you get naturally straighter and smoother hair. 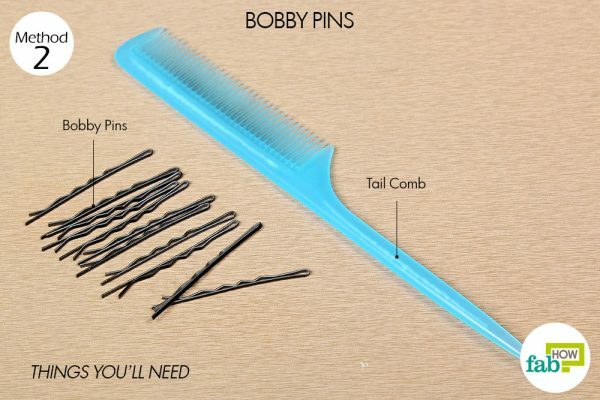 Though it sounds absurd, those tiny bobby pins can come handy if you want to straighten your hair without using any products or heat. Shampoo and condition your hair, and come out any tangles. 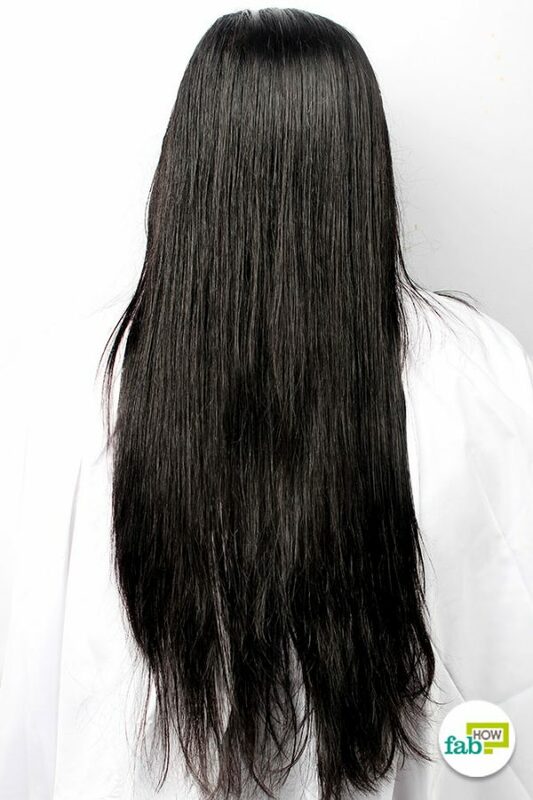 While your hair is still wet, take a small section and wrap it across the crown area. Secure it with a bobby pin every 2 inches. 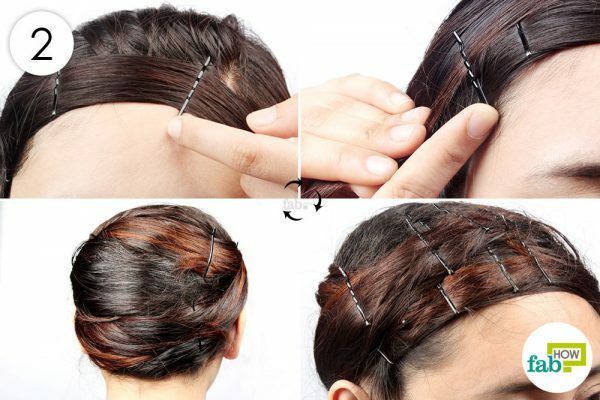 Repeat the process with similar small sections of your hair from the opposite side. Continue until all your hair is wrapped around your head. 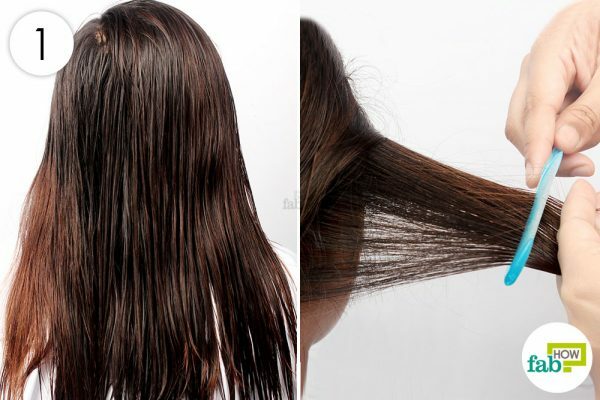 If the hair begins to dry, spray some water on it to dampen it again. Leave the pins in your hair overnight. You can wrap your head with a towel or a scarf to avoid friction while sleeping. 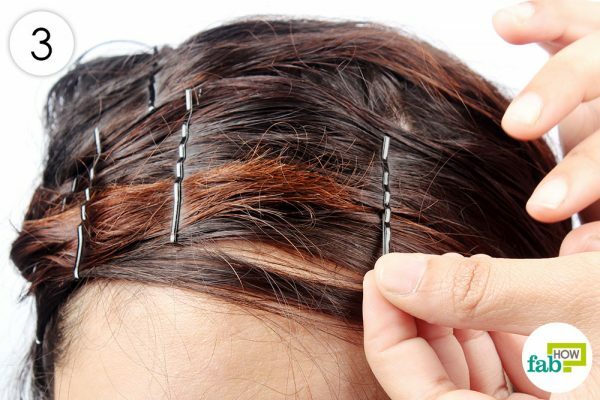 Remove the pins in the morning, and comb your hair with a wide-toothed comb. You can also apply some leave-in conditioner or serum to avoid frizzy hair throughout the day. Avoid rubbing your hair with a towel after washing, as this will create frizz and curl up your hair. 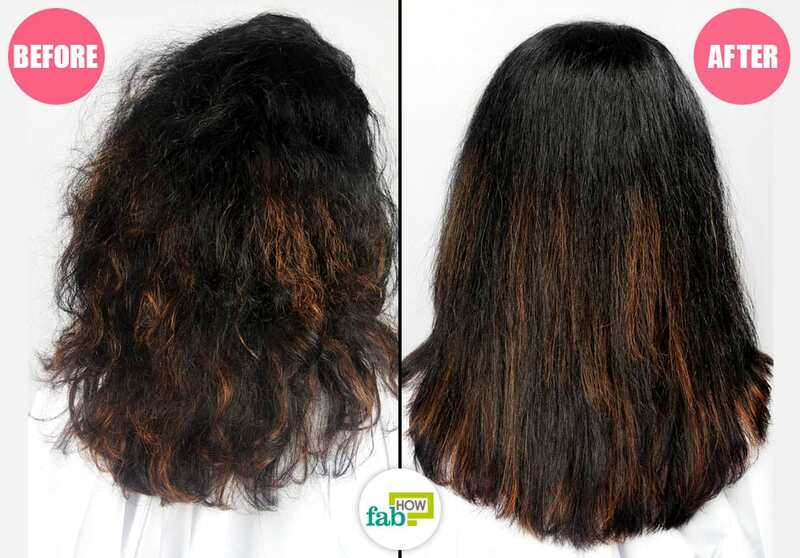 Follow a proper care regime and have a balanced diet to make your locks shine naturally. Always apply a heat protectant before using a straightener or blow-dryer to give your hair an extra layer of protection. 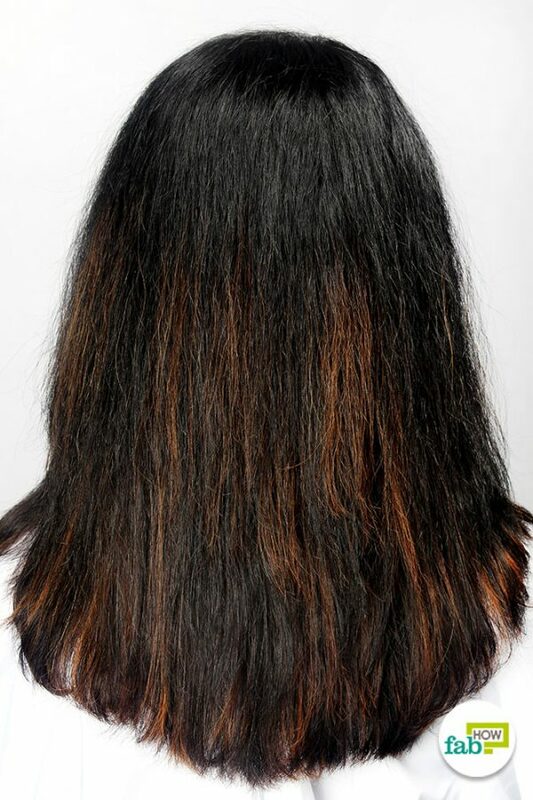 Moisturize your hair regularly with a good conditioner if you expose it to heat frequently.